How far along was the typical SaaS Series A in 2018? The median business was at $1.8M in ARR and growing at 250%. The chart below shows a representative sample of SaaS Series As’ ARR and projected ARR growth rate for 2018. These figures are larger than I expected. To be fair, 22% of companies raised at $0 in ARR. But the average MRR has increased substantially from the last time I analyzed the data. (note I’m switching from median to average here). 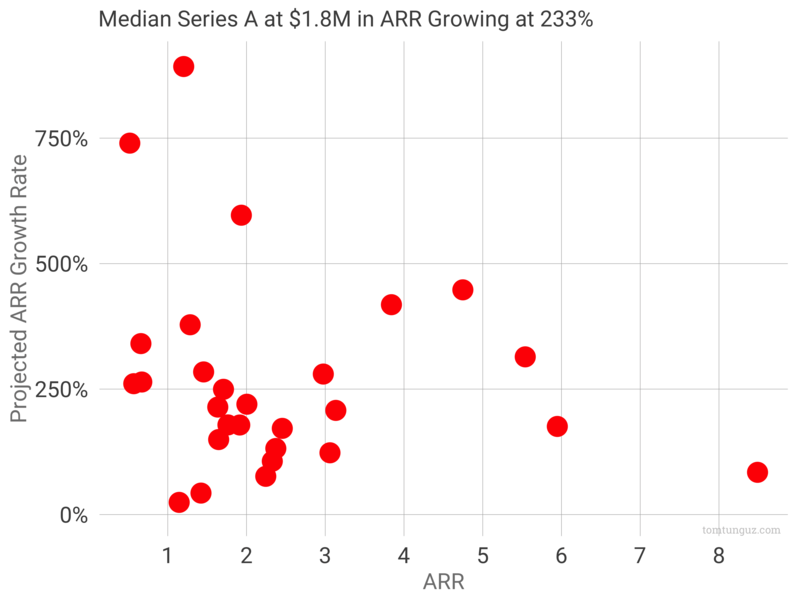 In 4 years, we’ve seen a 4x increase in the median MRR of a Series A SaaS company. That’s quite a growth rate. I didn’t calculate this figure in 2017. There are two reasons for this increase. 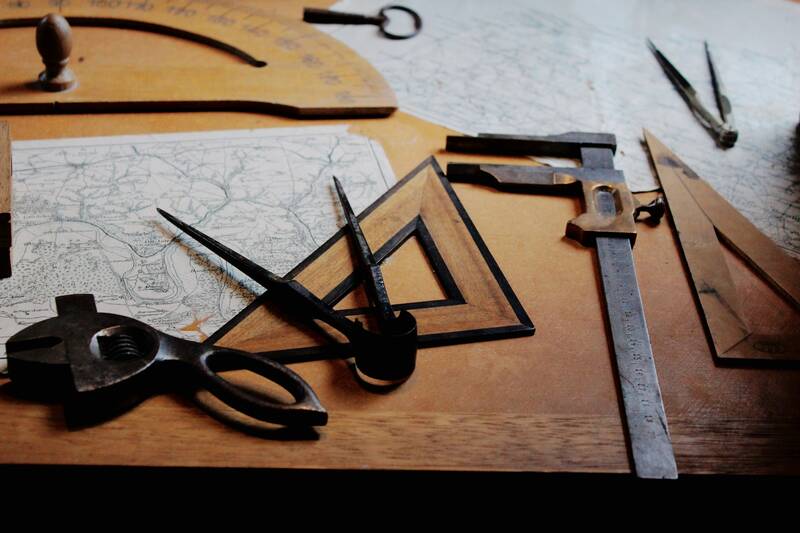 First, the science of building SaaS companies is better understood today than in 2014. Consequently, more companies are able to reach $1M in ARR than in the past because they can be more efficient with their capital. Second, round sizes at the seed and the A have increased. More money enables startups to achieve greater milestones before raising the next round. Both of these factor work to increase the ARR at Series A. As for the growth rates, the 230% projected growth rate is close to the triple, triple, double, double, double growth strategy that has permeated SaaS. There are a handful of businesses who project greater than 300%, which is a bold assertion at such an early stage, but possible. The usual caveats to this data analysis apply. The sample size is on the smaller side; there are companies who raise Series Bs at less ARR than the median A for other factors; this analysis ignores space, competitive dynamics, team composition and auction pressure of financings.